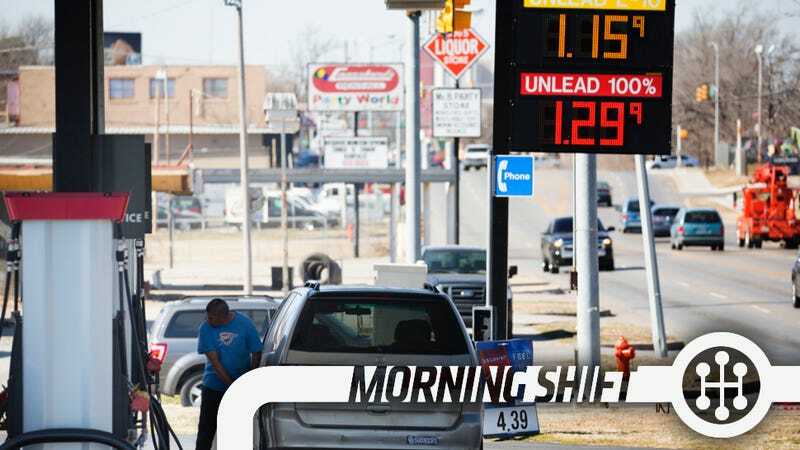 The national average is currently $2.23 per gallon, with prices that have dropped for 30 days straight across the U.S. This average is down 53 cents from this time last year, and according to AAA, this is the longest streak of falling prices since August to September 2015. It estimates that about 25 percent of gas stations across the nation, which is about 25,000 stations, are selling gas at under $2 per gallon. AAA says while we may see seasonal ups and downs, gas prices nationwide are unlikely to push above $3 during 2016. The falling gas prices are attributed to the spiraling crude oil prices, an increase to domestic oil production and a lack of major disasters (so oil rigs aren’t destroyed). In response to those dirty, cheating Volkswagens, the South Korean environment ministry said that it will decide whether to suspend the sales of the 27 VW/Audi/Bentley models that are currently offered there. Volkswagen alone saw South Korean sales slump 33 percent to 12,463 vehicles in the first half of this year from a year earlier, after the firm admitted in the United States to using software to falsify emissions tests on some diesel cars, spurring legal action in the United States, Germany, South Korea and elsewhere. The ministry is due to hold a hearing on July 22, with a decision expected after that. A stop-sale isn’t a surprise, considering we saw it here when news of the scandal first broke. Should the South Korean ministry decide to move forward with its plans, it will only join the many other countries that have already issued stop-sales on VW diesel models. Looks like the good people of the earth are buying up Daimler vans and buses. Daimler’s adjusted earnings (before interest and taxes) rose 5.6 percent to 3.9 billion euros, which was “significantly” higher than analyst expectations, says Bloomberg. Earnings dropped at trucks and the Mercedes-Benz cars, however. But, with the unveiling of the new E-Class in March, the company hopes to keep Mercedes sales strong and ahead of rivals like BMW AG and Audi as it has been through June. The result excludes almost 500 million euros in Takata Corp. air-bag recalls as well as 400 million euros for legal costs that Daimler didn’t explain. The “legal costs” include a lawsuit in the U.S. that claims that the company’s BlueTec diesel cars emit higher nitrogen oxide levels than what is legally permissible. Future Mobility Corp, a four month-old start up, wants to eventually sell several hundred thousand self-driving, electric and Chinese-built cars globally by 2020. The startup, backed by internet giant Tencent Holdings Ltd., is aiming to compete with the likes of Audi AG, BMW AG and Mercedes-Benz. It is yet another company joining the fray of Chinese car makers in the luxury market. Our target is to create the first Chinese brand which is premium and internationally successful. We’ll see how far these guys get. I’m a believer only when a car surpasses the vaporware stage. As if being blamed as some of the most vanilla vehicles money can buy isn’t enough, it seems that most small crossovers can’t even sufficiently light up the road while driving in the dark. Only four models were giving an “acceptable” rating. They are the 2017 Ford Escape, 2016 Hyundai Tucson, 2016 Honda CR-V and 2016 Mazda CX-3. Everyone else: it’s time to step it up. Neutral: Cheap gas isn’t the best news for the likes of electric vehicle companies like Tesla. Part of what drove people to EVs in the first place was the high price of gas. So if gas is cheap now, and stays cheap for a while, do you think it will affect EV sales?